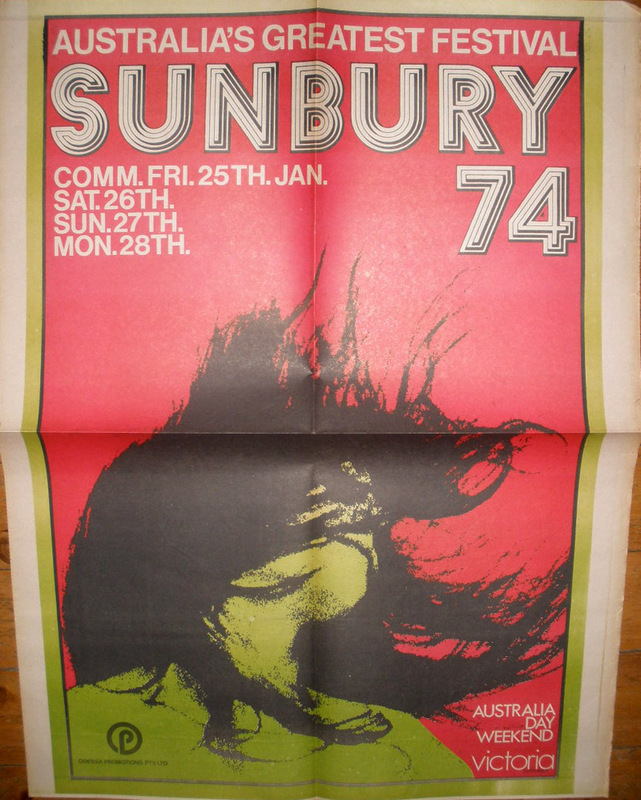 The Sunbury Pop Festival ran from 1972 to 1975, and was seen by many as Australia's own Woodstock (Sunbury is a small town about 40 kilometres from Melbourne). 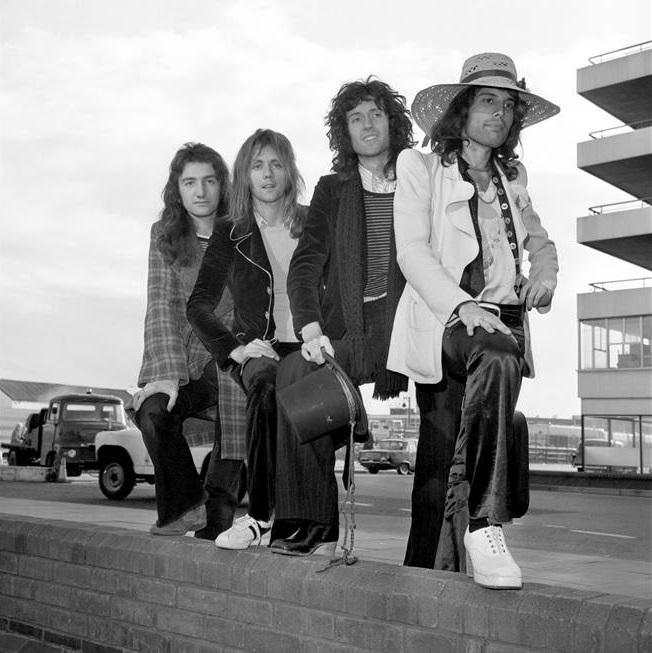 For years it has been said that Queen played on February 2, but the 1974 festival ran from January 25 to January 28. A journalist down under is certain the date was January 27 (although another source has stated they played on the Saturday night, the 26th). Thanks to Martin at Queenconcerts.com for doing the detective work. For some reason, Queen (at the time unknown in Australia) were actually the first non-Australian act to play at this festival, something which upset established local bands and promoters. Apparently both Freddie and Brian were ill that day, and combined with some other events, both on and off stage, this day would turn out to be one of the lowest points of their career. A local DJ (and Scottish-born musician) named Jim Keays acting as MC introduced Queen as such: "Well, we've got another load of limey bastards tonight. They're probably going to be useless, but let's give them something to think about!" He then mooned the crowd, and proceeded to call the band "stuck up pommies" before leaving the stage. In addition to that, Queen were looked down upon as being snobs for bringing their own lighting rig and crew, and thus their lighting rig was sabotaged by the local roadies. "D'you want anymore from these pommie bastards, or do ya want an Aussie rock band?" asked the DJ who returned to the stage about 45 minutes later. Queen left the stage whilst hearing jeers from the audience like "go back to Pommyland, ya pooftahs!" Freddie Mercury bravely responded by prophetically declaring, "When we come back to Australia, Queen will be the biggest band in the world!" They would return to Australia in 1976, and indeed, by then they were well on their way. Another performance was scheduled for the next day, but the band flew home instead. Brian May recalled this show years later. "It was all just a series of misunderstandings. Queen were unknowns and we never expected top billing. We were supposed to go on as the sun was setting so we could use our lighting equipment but we had to wait a while (the schedule had failed to account for daylight saving). The Australian stage crew didn't like this and started fighting with our stage crew." He has also stated that he felt the band went down well. 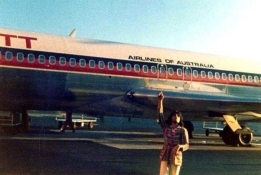 In a 1977 Australian radio interview, Brian goes into more detail, but interestingly enough he isn't quite as hard on the MC: "I got very ill on the flight because we got injections for smallpox, feeling really dead, apart from the journey, which is about 30 hours or something. And it was very hot. We just couldn't handle the heat, having come from English winter. We played the gig. Freddie had a lot of trouble with his ears. A lot of problems. It's very strange. He went swimming, and he completely went deaf. He couldn't understand what was happening. He was getting very worried. We did the first night, and lots of strange feelings on stage, a lot of animosity from not the Australian groups, but from the road crews, and they didn't want to move our gear. The didn't want to give us any help. We finally went on stage and played the set. There was an MC, I can't remember his name, who, before we went on, said 'Don't worry, you've got some Australian groups afterwards, but here they are anyway, Queen.' We couldn't believe it. In the beginning it was, we were all sort of looking and not sure what to make of it, I think, but after a couple numbers we went well, and we thought we got everybody going and everything. 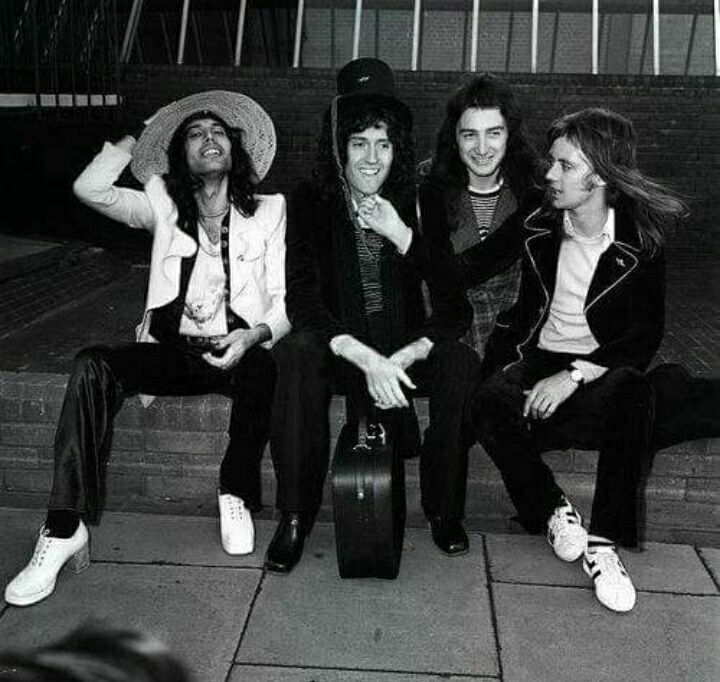 And we came off stage, and there's a lot of [audience] reaction, and the same guy went back on the stage and said, 'Well, that's all of them now,' and they're kinda still going, saying, 'we want more' or whatever, and he says, 'Do you want to hear more Queen or do you want to hear Madder Lake?' So that was it, and he basically managed to kill the sort of reaction from us, which was quite amazing, yet he was on there about five minutes during this applause and eventually saying, well, OK, we're gonna have Madder Lake now. So we felt a little unhappy about that! The musicians we met were great. It was just these few people." This is the recollection of a fan from Australia: "Queen, largely unknown, played their set and were very well-received. They did get calls for an encore. They were to be followed by Madder Lake, an Aussie band that were very well-known and popular at the time. The MC egged the crowd on saying things like, "We don't need these pommies back. We want an Aussie band." Naturally, the largely drunken audience did boo, not about Queen's performance, but at not wanting Queen to come out and wanting their local band instead. The press being what it is figured booing the band sounded better and so was born the story, albeit not an accurate one." 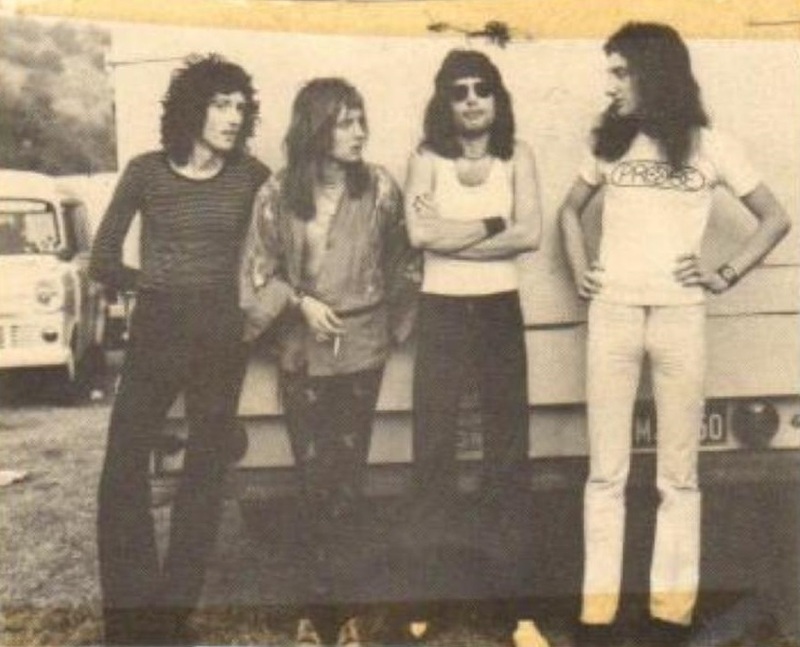 Madder Lake's bassist, Kerry McKenna, recalls the eventful day: "The issue revolved around Queen refusing to go on at their allotted time because the light wasn't right. I remember it was sundown, so whoever went on stage wouldn't get the full benefit of their light show. It came down to a battle between management, which then spilled into a fracas between the roadies of our respective bands, as each crew jostled to set gear up. The MC (or some other promoter) goaded the crowd into an us and them vibe, with the local band in favour over the unknown "pommie bastards." It ended with us going on stage first, and Queen redeeming themselves to the crowd and showing a hint of what they were to become. And that is how I remember it." Another fan recalls that "Queen played to a response that varied from uninterested to positively hostile (but always alcohol-impaired). The set was short and there was no encore." The 1976 book "An Official Biography" by Larry Pryce quotes producer Roy Thomas Baker as saying the band won the audience over. Ultimately this seems to be accurate, with the addition of the MC manipulating the audience out of giving Queen an encore. Here are a few pro pics from Queen's set. The last photo is of the band at Heathrow Airport in London after returning. The only other non-Australian act to play the Sunbury festival was Deep Purple in 1975, one of the last shows before Richie Blackmore left the band (the first time). A similar war broke out between their crew and the local crew. In 1964, a Melbourne crowd didn't treat Judy Garland well, either. The legendary contralto had shown up an hour late, and the audience managed to boo her off the stage within 45 minutes. She later described the crowd as "brutish."